Go To Hellman: Library Data: Why Bother? 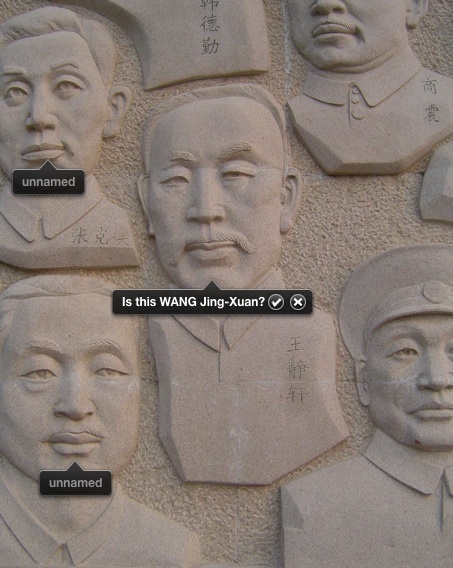 Do you think iPhoto would recognize that the second photo shows the main level of Princeton's Firestone Library? Do you think photo recognition software could ever say when that photo was taken? I should have added ...in the absence of embedded photo metadata? 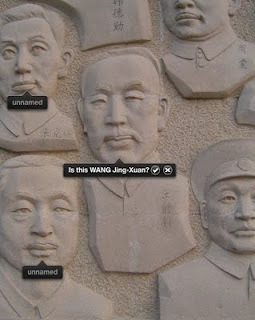 Well, iPhoto has access to the GPS info embedded in the photo file, so I doubt it would have much trouble. Why would you deny it the embedded data? That would be silly. I am not saying I would deny it embedded metadata. That's not the thrust of my question. I am can be silly but not that silly! I don't look at photo metadata too often, so I am not sure what gets recorded as a matter of course. It occurs to me, however, that sometimes data, for whatever reason, can go missing, get corrupted, or whatever. Restated, do you think recognition software will get good enough, assuming the embedded metadata is just not available, to scan the photo and pick up on enough clues to report "A ha! Picture shows Lobby of Firestone Library, past the guards, near the circ desk (taking into account the angle of the sunlight entering the room in the back) at 4:50 p.m. on 10/16/2010." Mind you, I am assuming the guards and circ desk are still where they were when I worked there. I have not seen the place in a number of years. I think recognition software may already be good enough to sift through a hundred billion photos and find a match to other photos, tagged by other users, taken at the same spot. But more to the point, given the timestamp, it will know why I was there and who I talked with that day. You could discover the same things, but the software is already 1000 times better at that.